Curtain information:One single curtain. 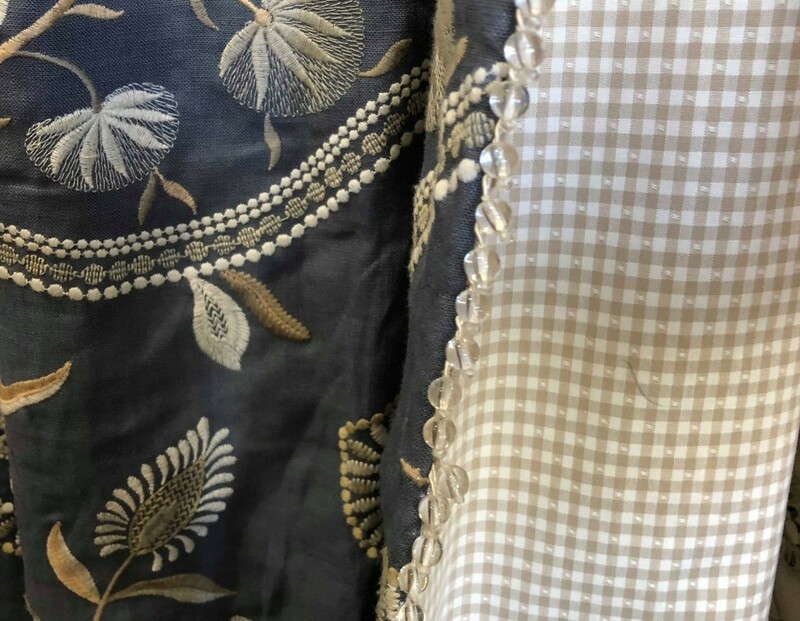 Colefax and Fowler navy blue linen with white embroidery. Gingham lining. Glass bead trim. Cape attached to top (15″) . Lined, interlined, tape heading. 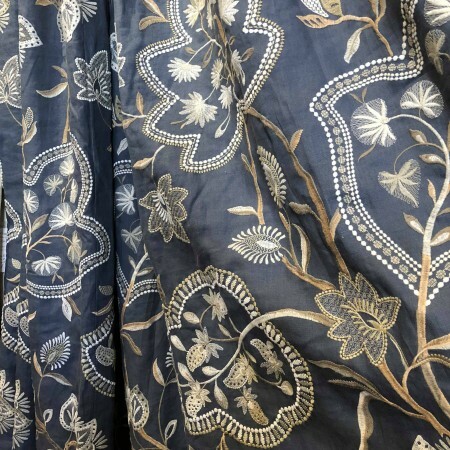 These curtains were received into our shop in Coggeshall, ESSEX. Curtain information: One pair and one single. Brown/taupe toile. Lined, interlined, pinch pleat heading. Tiebacks and pelmet available at extra cost. 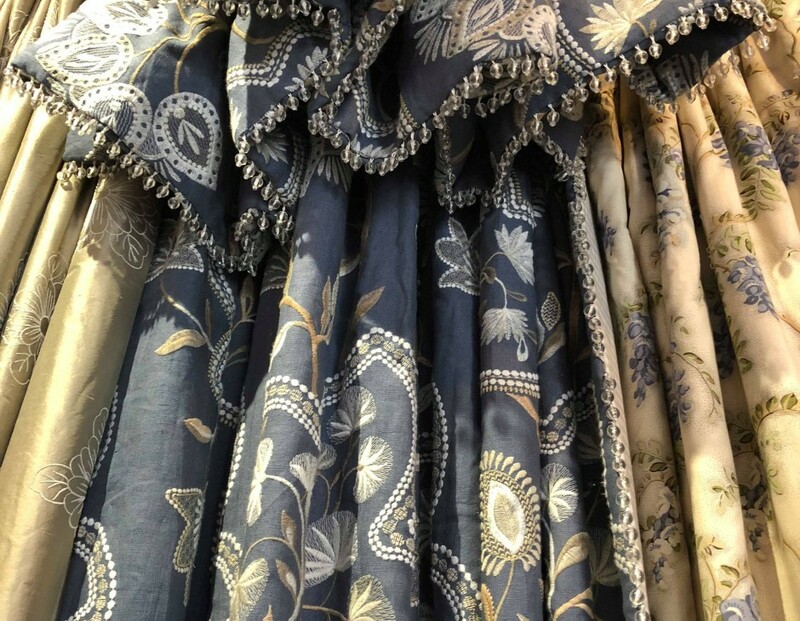 These curtains were received into our shop in Coggeshall. 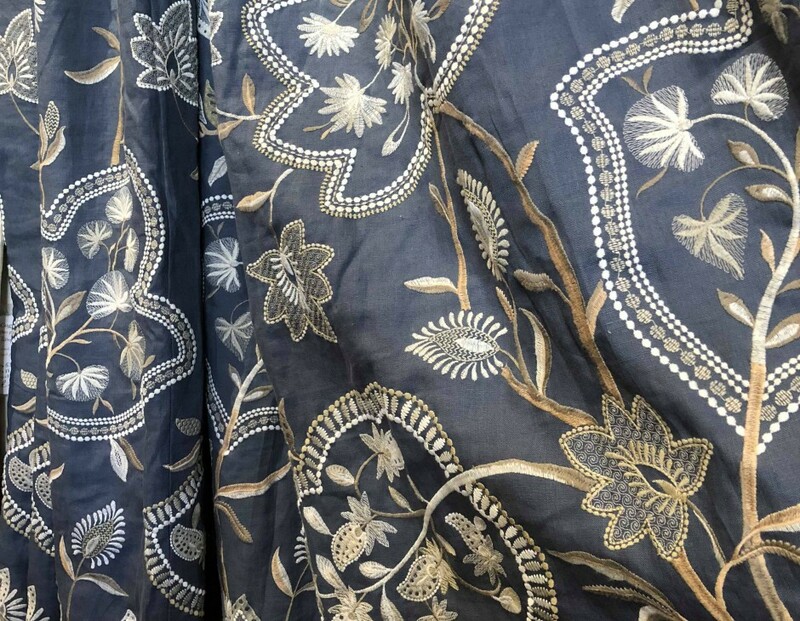 Curtain information: One pair of curtains white embroidery on linen colour cotton. Lined and interlined. Pinch pleat heading.